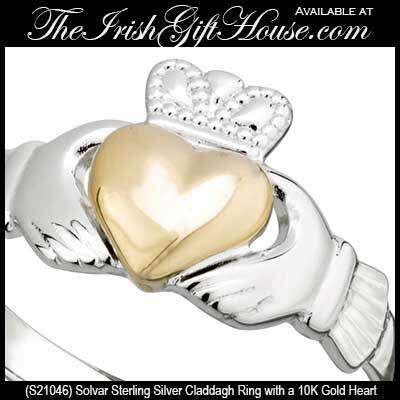 Sterling silver Claddagh ring features a gold heart. This sterling silver Claddagh ring features a puffed heart that is made of 10K yellow gold and it measures 3/8" tall from the top of the crown to the bottom of the heart. This sterling silver Claddagh ring is available in sizes 4 through 10, including half sizes.